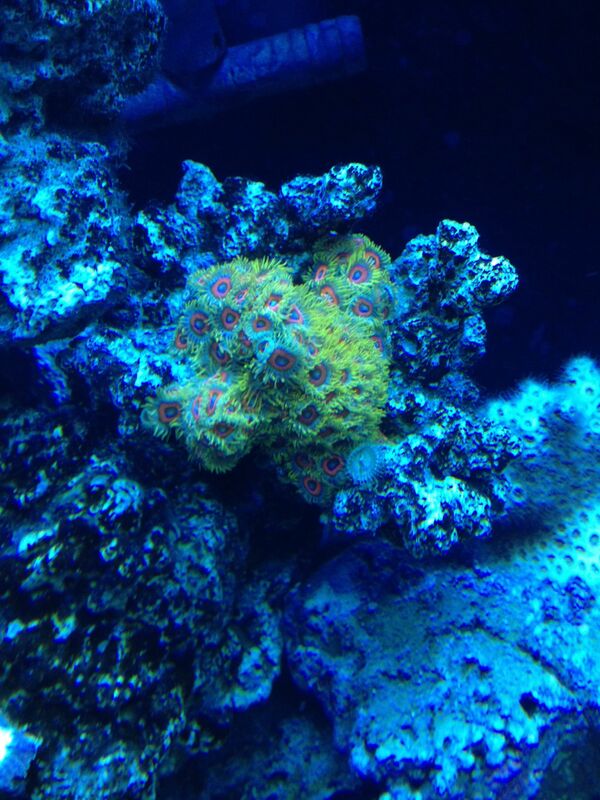 Zoo colors | Saltwaterfish.com Forums for Fish Lovers! Over the past year I've had great growth but my colors are drastically changing. First an old photo the second from today. Is it lighting? Is it flow? 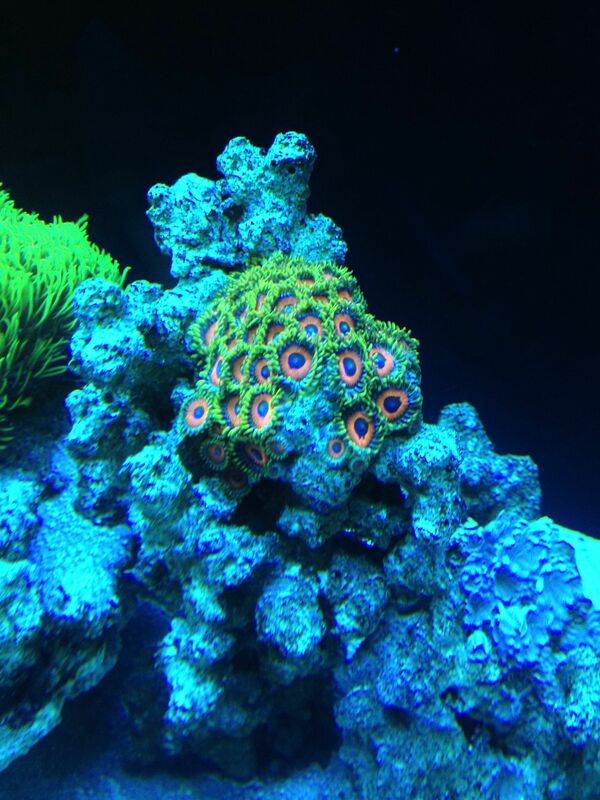 This one under the actinics but still look faded. The lower ones that are shaded look darker and more vivid. Thoughts? I see that you have SPS in your tank as well. Are your SPS paling or darkening, or are just right? Have any algae anywhere in the system? What are you feeding? 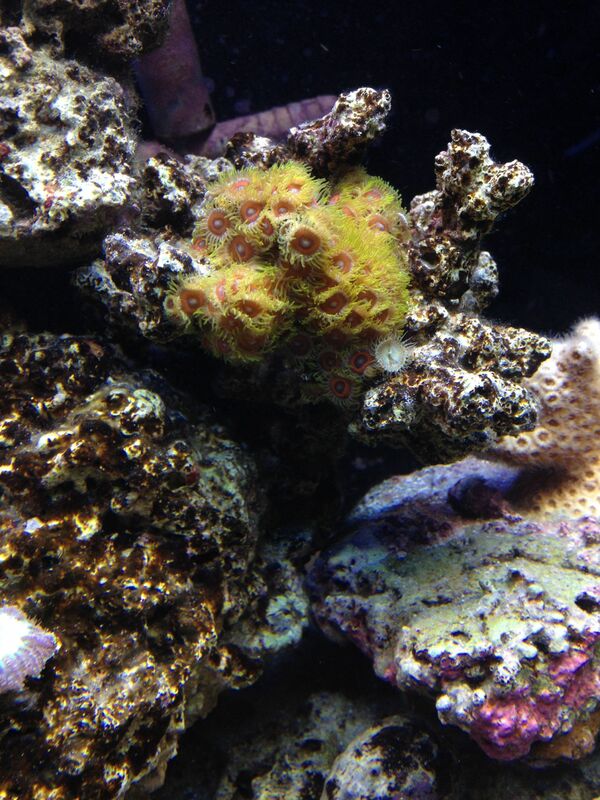 Typically, soft corals like nitrate and a little phosphate in the water column... paling color might mean not enough available nutrients... OR a fluctuation in temp/salinity. Start doing some full parameter checks if you can using a decent quality test kit to get a better idea of what is going on. If your not feeding them right now, then start doing so... Turkey baster with cyclops, enriched baby brine, mysis or something similar that is small... blow it at it gently and let the polyps catch it. They should darken in color a bit with some more nutrients in the water column... and if your light is too strong, you may need to move them down in the tank. Come on snake it test. I don't feed them specifically. They are only under 12k and 460 actinics. The pink sps are fine but my green have lightened some. I moved them up in the tank some so that may help as well. If the ones in the shade look better I would move them down not up. Put them on on the bottom for alittle and see if anything changes. Most of the time when zoanthids want more light you will notice that they will have long stalks, as if stretching towards the light. Hope this helps!